For a free initial consultation, call (603) 335-2132 or fill out the form below! RP Abrasives is able to offer a different surface finishing process depending on the job at hand and the unique needs of our customers. Due to our state-of-the-art facility and a wide range of metal and plastic finishing capabilities, RPA is proud to offer customized solutions to each and every client regardless of the industry they serve. 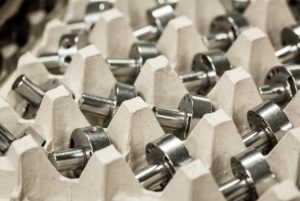 Whether the job involves burr removal or achieving a particular finish required in the aerospace industry, we can combine a variety of finishing techniques to get the job done. We are more than confidant we can leverage any combination of blasting, buffing, polishing, tumbling and passivation that may be required to achieve the desired results.